Karen Wehrstein lived to the end of her life in her beloved turn-of-the-last-century cabin tucked into the redwoods on the Jacoby Creek, Bayside. Karen died on March 8, 2019. She was born in Dayton Ohio on August 20, 1942. She leaves her brother Mark, sister-in-law Stephanie, and nephew Christopher. Karen moved to California after college graduation and went to work at the Veterans Hospital in Los Angeles. She kept friendships from there going all her life. 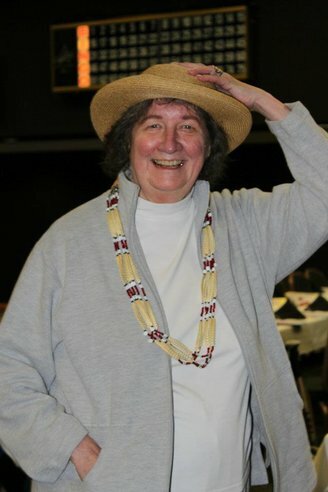 Karen emigrated to Humboldt County and worked for various social service and health agencies, including Northcoast Regional Center, Senior Resource Center and United Indian Health Services. She had many friends from her work life. Karen had many volunteer projects like the cookbook “Locally Delicious,” was active in political campaigns, and was elected to the Jacoby Creek Water District. Karen was also honored for her loyal volunteering in the Potawot gardens after her retirement from United Indian Health Services. Karen left Humboldt County for two years to earn a Masters Degree in Nutrition from California State University at Northridge in Southern California. While a graduate student, she published a nutrition column that ran in newspapers such as the San Francisco Chronicle. Karen returned to the North Coast and taught nutrition for several years at Humboldt State University. When the university cut several departments, her department was one. She moved to Oakland to assume the job of nutritionist at the Jewish Home for Parents. After several years, Karen returned to her beloved cabin in the redwoods of Humboldt County. Back home, Karen taught classes in continuing education for mandated education credits to people in the elder care service industry. She also put on cooking classes, did consulting, edited books and helped organizations with grant writing. Karen worked part-time as a nutritionist/quality control specialist for the Senior Resource Center in Eureka, and was a Diabetic Educator. Karen jumped into semi-retirement with travel to China and Costa Rica. She traveled to Italy with a photographers’ travel group, recording the sights. Karen became an avid and prize-winning photographer and was a long time member of the Redwood Camera Club. She loved her time on the water in her kayaks and the friends and outings with the Explore North Coast (ENC) Sea Kayak Club. Karen gardened at her cabin and rented a plot at a community garden in sunny Bayside with a longtime friend to grow flowers. Karen loved flowers and always had bouquets in her house. Music “wound her watch” and learning the guitar was a lifelong pursuit. She so enjoyed the friendships she made with her guitar. Karen hit the local music festivals with her camp chair and good friends in tow. Karen was challenged with serious health concerns near the end of her life but never lost her love for her cabin in the woods by the river. Karen lived her life as she chose. She will be remembered by the many lives she touched in Humboldt County, Oakland and Los Angeles. The obituary above was submitted on behalf of Karen Wehrstein’s family. The Lost Coast Outpost runs obituaries of Humboldt County residents at no charge. See guidelines here.